Well, you have asked and we have listened. Due to popular demand from our regular guests, we have introduced a traditional Sunday Lunch menu for you to enjoy! We are offering 2 courses for just £12.95 and if you want to go all the way with a 3 course lunch then the price is just £18.95 per person. 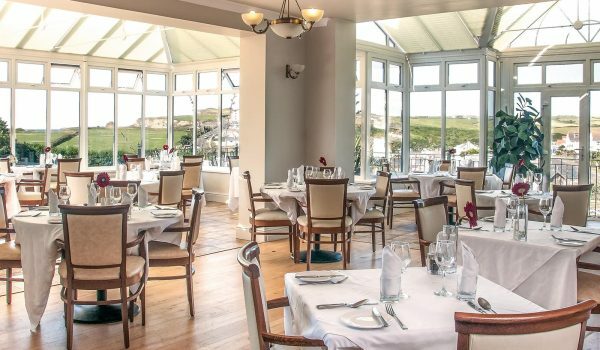 We are offering great value food in a relaxed setting with views out over Porth Beach for you and the family to enjoy, and the best part is, we do the washing up too! If you have the energy afterwards then why not enjoy a game of pitch and putt or croquet in the garden to work off lunch, or just relax in the bar and enjoy the match on Sky Sports? If you would like to book, please give us a call on 01637 873274 and we’ll see you next week for lunch!